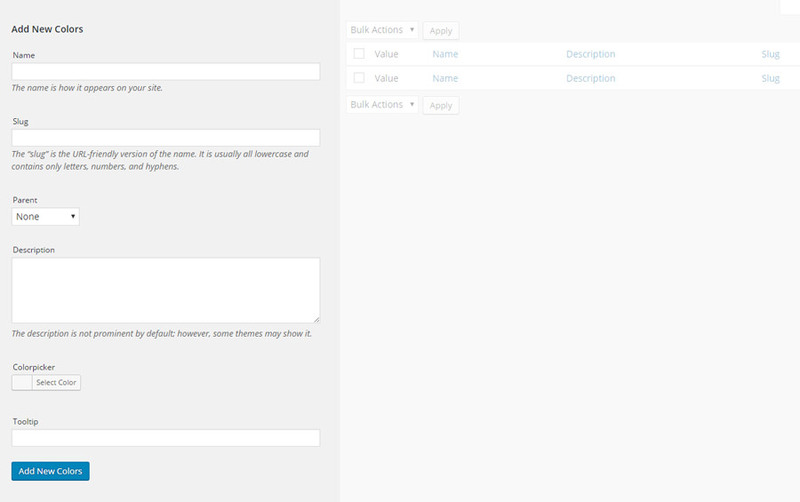 Once you have created an attribute, you have to add variations of it. Click on the button shown to enter the first variation. 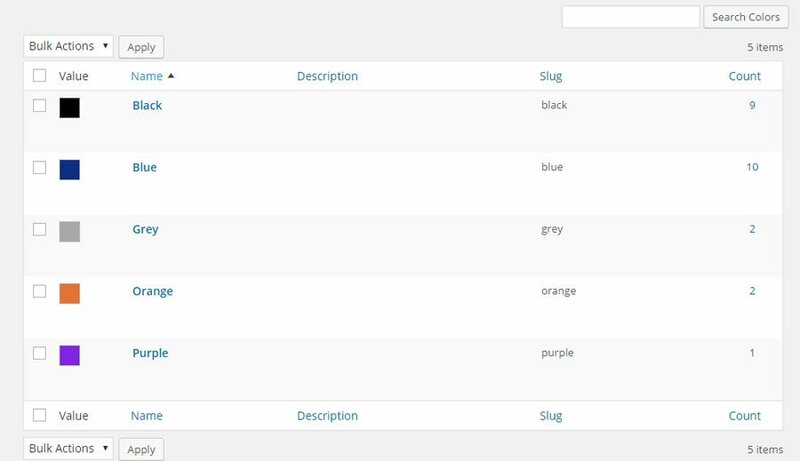 You can create new product variations directly from product detail page. 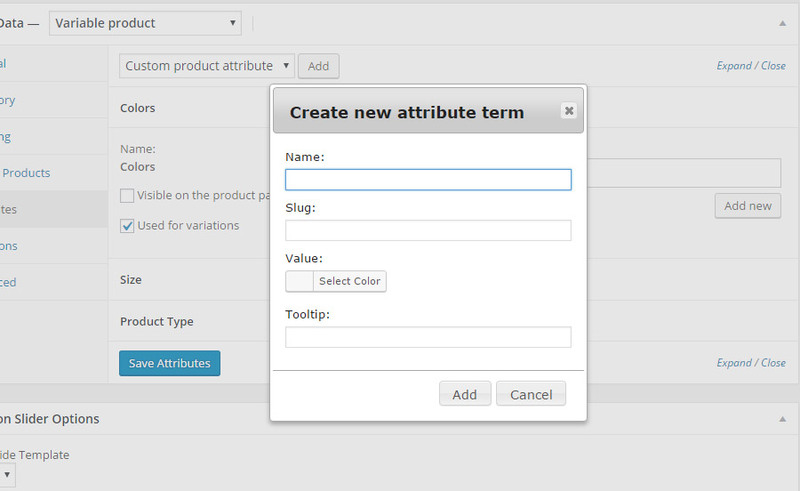 Open a product and, after adding an attribute, click on Add New to add a new variation. 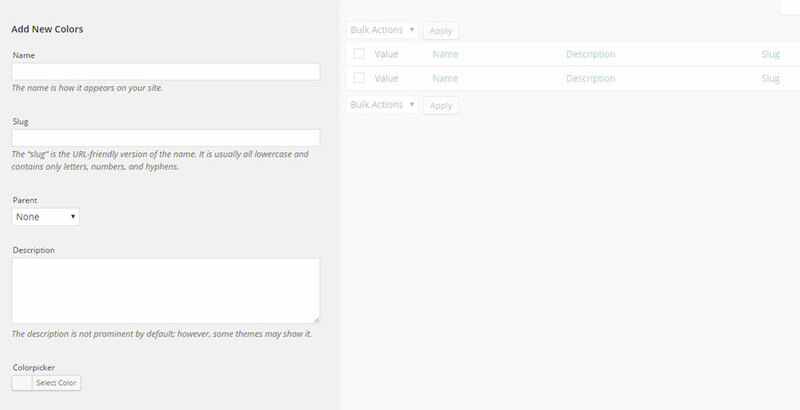 In our example, the attribute type is “colorpicker” and, therefore, in the modal window that opens we will have to add colours for the new variation.